What Is The Edward’s Advantage? To provide the best tutoring, training and consulting experience to students and adults in our community. Edwards Learning Center fosters a holistic approach to learning – head, heart and hand, so that our students can reach their fullest potential in school and in life. 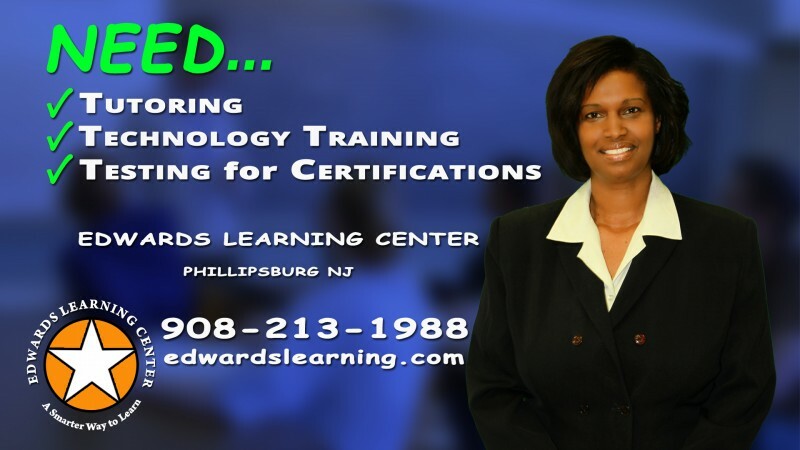 Edwards’ Learning Center professionals adhere to the highest standards in the conduct of our programs and services. We keep all relationships on a professional level, and we encourage cooperative effort. Our students’ welfare governs all of the activities that we undertake. The information that we derive from working with our students is confidential and we will not release it to others without written consent. We know what our programs and resources are capable of accomplishing and we do not make promises beyond those capabilities. We try not to accept any person who we believe is unlikely to benefit from our assistance. And if we believe other professional services are needed, we will recommend them for your consideration. Schedule your FREE Visit Now! Edwards’ Learning Center’s approach is grounded in a Positive Thinking philosophy, where consistent and positive reinforcement through the use of language and role modeling is woven throughout the learning experience. Edwards’ Learning Center reflects its commitment to providing a positive and professional learning environment through its hiring process. Our staff brings with them positive behaviors and thinking styles that EDWARDS Learning wishes to highlight and impart upon the students and the community. Edwards’ Learning Center also strives to maintain highly qualified teachers, and will first seek to find certified teachers, hiring teachers who possess at the very least a Bachelor’s degree. The actions of all of our staff members are governed by the Edwards’ Code of Ethics, which reinforces our commitment to adhere to the highest standards of conduct in our programs and services. Summer hours will be scheduled according to needs assessment.